(LONDON) - While Most Arabs seem to agree to disagree; there are few things they don’t argue over like Israel being the primal enemy of the Arab nation – well, after the so called Arab Spring even that is arguable now. The fact that Israel is winning the conflict with the Arabs is due to many factors, mainly the US/EU political and military alliance. But the Israeli advance and its conquest of the Arab land wouldn’t have been possible without the division and fragmentation of the Arabs, and Hamas is but another blatant and unfortunate example of fragmentation and managed division in the Palestinian front. The Arabs and Palestinians considered the establishment of an Israeli state over the Arabic land of Palestine a catastrophic setback or “Nakba” in Arabic, and I believe that the establishment and empowerment of Hamas over the narrow strip of Gaza is no less catastrophic. Things would have been much harder if the Israeli side had to deal and negotiate with the PLO “Palestinian Liberation organization” as the sole and solid representative of the Palestinian people and conflict, but thanks to the sweeping- misleading and totally undemocratic- victory of the Islamists and extremists in the 2006 parliamentary election the so called “Islamic resistance movement” aka Hamas was born and started messing up the already messed up Palestinian/Israeli conflict. If you are keen to find out why the parliamentary victory of Hamas was misleading and undemocratic I urge you to temporarily overlook the ballot boxes result and take a peek at how they ran for parliament; how they promoted and presented themselves during the election campaign. Democracy is not just about the ballot boxes’ moment but most importantly about the pre and post- ballot boxes’ scenario. That is of course if you recognize democracy as a political conduct and performance and not just a hunting trip on the voting day and then everybody goes back to the jungle. Now, what kind of slogan is that, and moreover what on earth has Allah or Mohamed to do with what is supposed to be a political process. In other parts of the land where the church is separated from the state this conduct would sound as a major violation to the process of democracy. If we are talking democracy and free elections then how could we expect any so called democratic voting to be fair and equal when one of the candidates is running as a delegate /representative of God and his prophet? Who could vote no to God, and consequently who could stand to compete against God almighty and his true and beloved prophet? Furthermore, how and who could argue with the one who is uttering the words of God? And what kind of democracy are we talking about when opposition is not only not allowed but also condemned as blasphemous – contradicting with the sharia law and Sheikhs of Fatwa. The last thing any society needs is to divide along religious lines. Hamas candidates did not run as politicians and never gave promises and programs like politicians often do and that’s simply because they were no politicians. 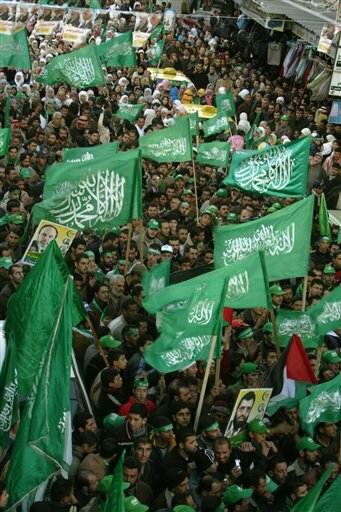 Hamas members ran as jihadists and extremists under the cloak of free elections and the lure of democracy-albeit misused and also misinterpreted by the gullible crowd. And in a place like Gaza jam-packed with poverty, ignorance, occupation and corruption extremism wins it all, and not only the so called parliamentary elections. In any sports game the referee never starts the game before he makes damn sure that the two contestants are real and registered athletes and that they play the same game with the same agreed-upon international rules and only after the two contenders pledge a fair play does the referee start off the game. So when we are referring to the sweeping victory of Hamas in 2006, a process that was never repeated and never will be, we are actually looking at a foul play that no one took notice of. In other words, we are looking at an absolute mockery of democracy. That’s why Egypt’s new constitution outlaws the founding of political parties based on religious grounds, the right step towards separating religion and the state affairs. You can’t let a Catholic priest (who is not an athlete) lead a team of football players because he is dressed up like Lionel Messi, you wouldn’t let a Jewish Haredi(who is not a surgeon) operate on your wife/son because he is wearing a medical gown and gloves and moreover we shouldn’t let religious clerics and extremists ( who embrace anti-democratic dogma like Jihadists and Islamist militants) run as politicians for parliament and presidency under the guise of democracy. If we let such thing happen it would be a twist of logic. For discussion, the core of democracy, is foreclosed when one appeals to religious tenets or dogma. If we let such thing happen, then we’re either ignorant and misinformed or we are complicit and profiting from this mockery of democracy. That mockery of democracy and twist of logic happened in Egypt with the sweeping parliamentary victory of the Muslim Brotherhood MB- the mother ship of all Islamist terrorist groups around the globe- and as in the case of Hamas- the Palestinian MB offshoot- the voters were manipulated by the cheap exploitation of religious slogans and verses. Like Hamas, the MB used the misleading line “Islam is the solution” as their favorite propaganda line and it really worked like magic amongst the gullible, the needy and the uneducated. But Unlike Gaza, Egypt was no narrow strip of land. Egypt, the land of one of the greatest and most ancient civilizations on earth still harbored, despite decades of corruption and fundamentalism, some wisdom. On June 30 2013, millions of Egyptians erupted like a volcano of anger over the rule of MB and the people demanded early presidential elections and when the MB government declined, the president and his government were sacked by the will of the people and their national army. Because we live in a twitter/facebook world people around the world were like tweeted that the democratically elected Egyptian president was ousted by a military coup. And I believe no tweets told them that Morsi and most MB senior members were ex-convicts who illegally broke out of jail by the help of Hamas militias during the first days of January 25 2011 revolution. And since people were told and taught that military coups were bad moves, hence Europeans and Americans were made to believe that something democratically horrible was taking place in Egypt. Democracy is crumbling in the land of the Pyramids- very exciting news headline and it was more than enough to create a buzz amongst twitter addicts and half blind media and followers (and of course MB supporters). The mainstream media MSM- owned by those who profited from mockery of democracy and twisted logic- made damn sure to portray the Muslim Brotherhood – the most dangerous threat Egypt has recently witnessed- as victims of a military coup and as voices of political dissent enduring the most brutal crackdown. But the MSM have deliberately forgotten or better yet ignored to mention and inform everybody that what happened in Egypt on June 30 was no military coup – where boots and tanks control the situation and not the hearts and minds of people’s majority as in the Egyptian case. And more importantly, those MB members were no politicians in the first place. MB fanatics never practiced politics in the academic sense of the word. MB, and that goes for Hamas too, are not the voice of dissent in the Egyptian or Palestinian political scene, but actually they are the voice of disintegration. If we are to credit MB, or Hamas, for achieving something solid and tangible in the Egyptian or Palestinian scene, then it would absolutely be division and fragmentation of their respective countries. What most westerners and many cyber parasites on Twitter and facebook are not aware of is that MB code of belief is based on radically blaspheming and negating/excluding the other and the other is simply anybody who is not MB- very democratically oriented mindset, eh? MB, Just like Hamas and every fanatic group on earth that is founded on militancy and religious extremism should be marked as terrorist and be banned from getting into the realm of politics and governance – even if they fooled everybody and said they were out to fight Israel’s occupation. Hamas is not fighting Israel; as a matter of fact they are helping Israel to look its best, a civilized victim amidst a sea of barbarians and terrorists. And Hamas fooled all NGO’s and independent freedom fighters around the world when Gaza had turned into the hub of international aid groups and liberty advocates. I’m not saying that the good people of Gaza did not desperately need the world’s sympathy and aid but I’m saying Hamas used that situation to its own advantage. Freedom to Gaza campaigns have instead bolstered Hamas politically and gave them the legitimacy they needed to act as an independent state. 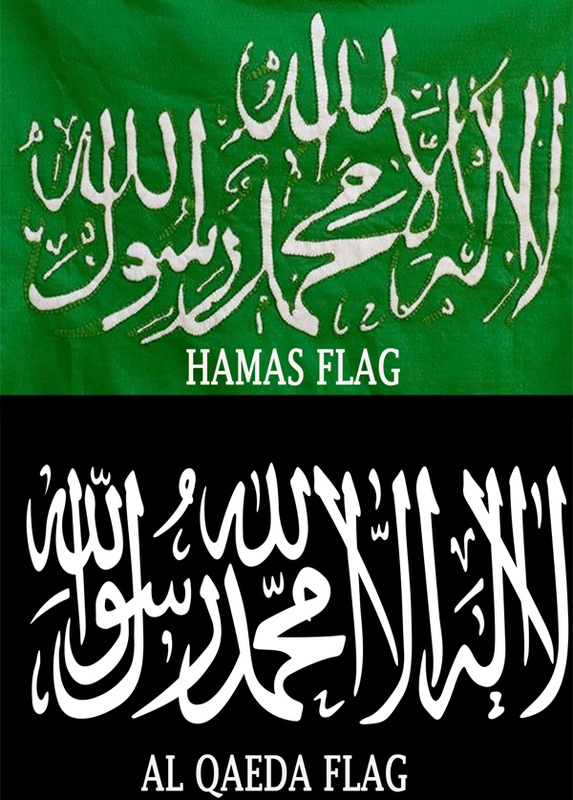 Bit by bit the dark clouds of fragmentation loomed over the sky of Gaza and gradually the national flag of Palestine was being replaced by the Hamas/Al Qaeda ugly flag – a transformation Israel alone couldn’t have managed to achieve. The irony is that while the western audience is being indoctrinated by a sick MSM and made to believe that Morsi is another Nelson Mandela behind bars nobody cared to investigate what the MB doctrine is all about. Only few who managed to evade being programmed by the MSM knew that MB literature and creed is primarily based on hatred to everything western and that the MB ultimate goal is not to win a democratic election but to do away with the western democracy and rule the world under the banner of Islamic caliphate. MB and Hamas are not only harming the Palestinian and Egyptian political and national fabric, but they are a threat and a looming danger to the whole world, especially the west. Some western political analysts and so called followers of the Egyptian political scene got highly irritated when Egypt declared MB a terrorist organization and shunned the Egyptian stance as highly ignoring human rights and democratic norms. But I implore those analysts to shift their democratic eyes a little bit from Egypt and focus for a while on the Syrian scene. I want/expect them to indulge their hunger for democratizing Islamist militant gangs and terrorist organizations, aka the Syrian opposition/free Syrian army. If the scenes of horrific crimes and atrocities committed by those terrorists who are but the Syrian version of MB and Hamas in battle shooting at the will of their Sharia law is not enough reason for tagging MB as terrorists then I strongly advise them, as a physician, to have their eye sight and insight examined. 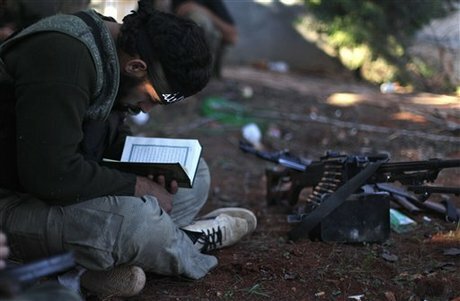 One more thing, the so called free Syrian army-part of the international web of MB- harbors hundreds of European Muslim terrorists who are bound to get back to Europe after the war to start new groups/cells of MB that will act as affiliates of al Qaeda in the heart of the democratic western continent. I expect the same westerners who defamed Egypt for outlawing MB, to happily enjoy sleeping with future MB terrorist cells in the same and warm European bed. Who knows, maybe this European/American democratic myopia will linger long enough to allow some Native European MB to slip into their parliamentary system and presidency. Only then could we have a really interesting round table-discussion about the benefits of democratically including Islamist radicals into our governance system. Of course this group might very well be infiltrated by the Israeli and Turkish intelligence but the fact remains, as I have mentioned earlier, that hadn’t been for elements of fragmentation and terrorism, like Hamas, MB and Hezbollah, the Israeli side advance wouldn’t have been possible or at least that easy and fast. But for all those analysts who are following the Egyptian political scene, Egypt is going to come out of this war with terrorism stronger than before. Maybe Egypt is not at its brightest moments, after three years of chaos and turmoil, but at least Egypt knows its enemies and its friends. And as for Hamas I have no doubt that the Egyptian national army and security council has taken all necessary arrangements to bring down that anti-Egyptian and anti-Palestinian regime. 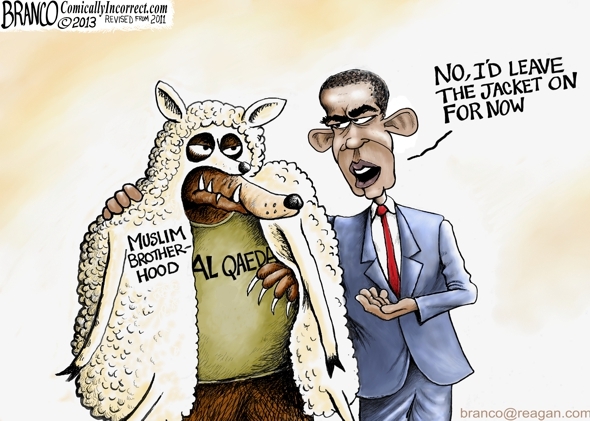 As the MB organization is going down Hamas will follow in line, make no mistake about it. And yes Egypt is definitely at war with Hamas.